CHIANG RAI – Thailand’s Ministry of Culture has made preparations to upgrade Tham Luang-Khun Nam Nang Non National Park into a high functioning tourist attraction. Minister of Culture Weera Rojpojanarat has visited Chiang Rai’s Tham Luang-Khun Nam Nang Non National Park to follow up on improvements to tourism. 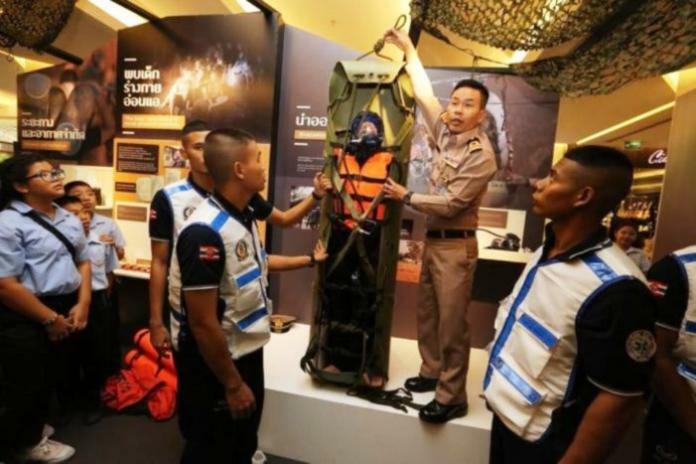 He brought an account of the recent rescue of a youth football team from Tham Luang Cave to the area as it is to be used to promote tourism to the site. A museum has been planned in Tham Luang-Khun Nam Nang Non National Park to remember the historical event that took place there. Construction of the planned rescue museum and statue of Sgt Sam, led by national artist Chalermchai Kositpipat, has begun at a site near Tham Luang cave in Mae Sai district and is expected to be completed in 4-5 months. 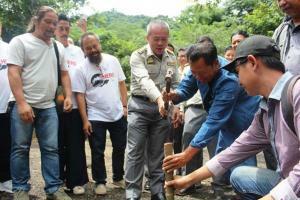 Local artists, senior officials of the Department of National Parks, Wildlife and Plant Conservation, and the Royal Forest Department gathered outside the cave in Tham Luang-Khun Nam Nang Nong Forest Park to launch the start of the project on August 2nd, 2018. The centre will memorialize the epic rescue of 12 young footballers and their coach from the Moo Paa Academy club who were trapped in the flooded cave from June 23 to July 10.